New Remington model 700 SPS Stainless bolt action rifle in .22-250 calibre. 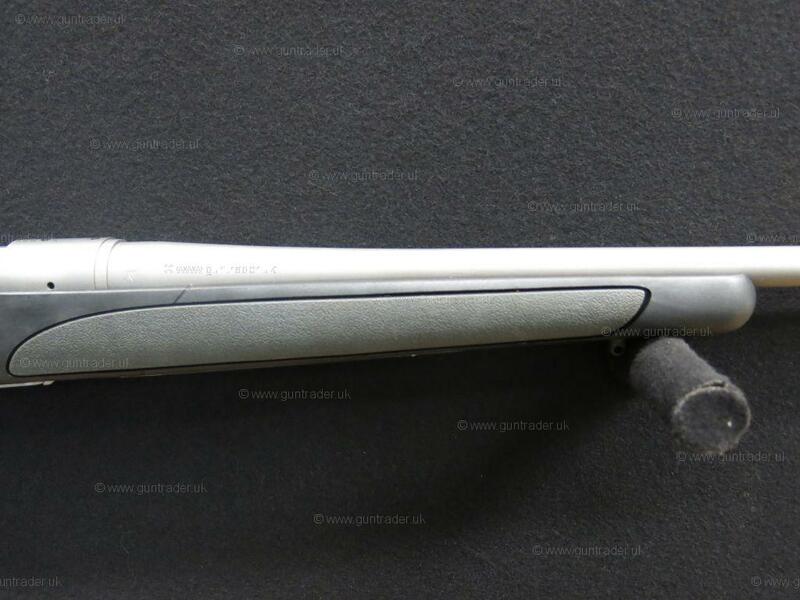 Hard wearing special purpose synthetic pistol grip stock fitted with a large Remington rubber factory heel pad, the stock incorporates rubber hand grips for a more secure handling rifle. 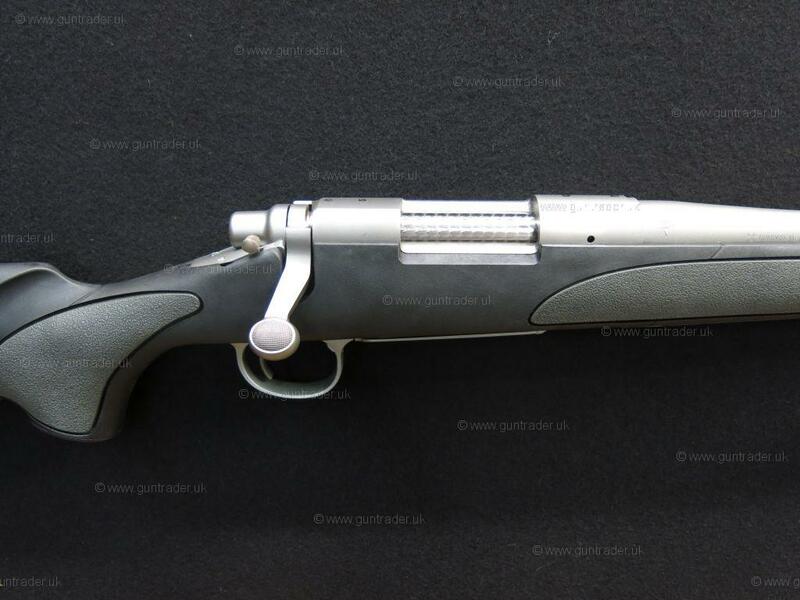 Stainless finished short 700 bolt action with jeweled bolt set alongside a standard weight matte stainless finished 24" barrel which has been screw cut M14x1 ready for the addition of a sound moderator. Fully adjustable single stage trigger unit with a manual side safety catch, top loading five round dual stack floor plate style magazine. A scope, scope mount and sound moderator discount package can be added to this rifle if required at extra cost. Please call for more information or visit www.Greenfieldguns.com. Part exchange welcome, please call for very best cash price. Limited lifetime warranty, actual rifle shown in all of our photographs!